We leave for Mt. Kilimanjaro in 31 days. This has been a very intense experience on many levels. First, the physical training has been incredible. Stair climbing, now as many as 4200 stairs over a two-hour period has been gruelling. 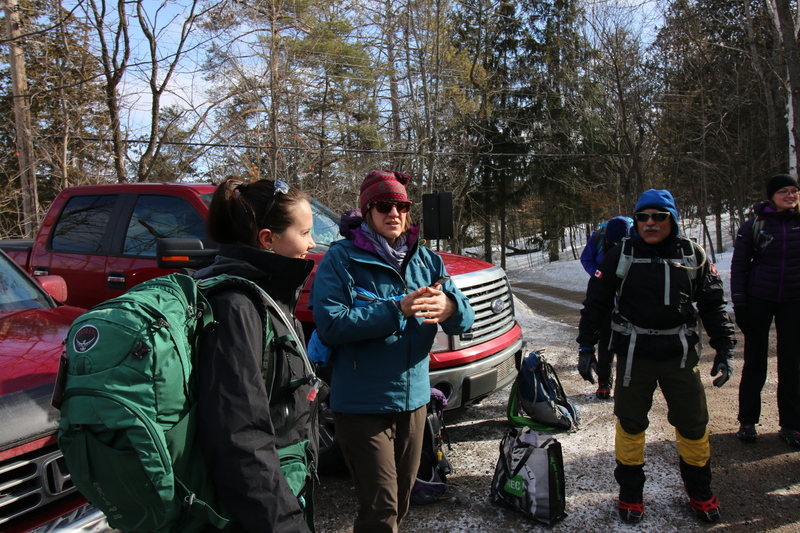 Every second week we do a trek on the Wolf Trail – a good 2-hour hike up one of the ridges in the Gatineau near Ottawa. Each of these treks is an opportunity to try out new equipment, new food types and most importantly, a chance to get to know the people you will be climbing with and depending on during the climb to the top of Mt. Kilimanjaro – 5,888 metres (19,318 ft). Physical training aside, the next great challenge is raising money for the group we have been assigned to support throughout this entire journey. For me, this is what makes the Dream Mountains experience unique. It’s not about you and your own bucket list. It’s more about the fundraising each of the group members is doing for a great collection of local and national charities. I don’t think I would be doing this if it weren’t for the community connection that has been created between ourselves and the groups we are working to support. What really would be the point? For me, another important part of the preparation has been my attempts to explore various communication tools that will allow people to follow the climb while we are in Africa. I have taken my inspiration for this part of the planning from Elia Saikaly who is a master at telling adventure stories using social media. There is no way I can do what he does during one of his expeditions, but I am doing what I can. 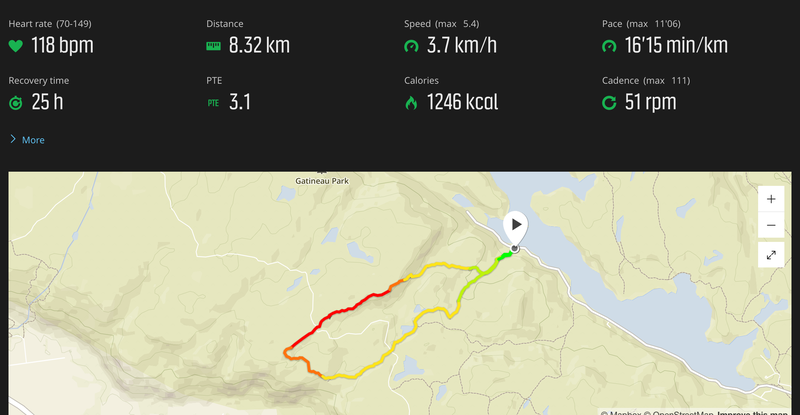 My main tool is one that Elia has used – the ESRI Story Map, a wonderful media tool that has allowed me to tell our story from our early training climbs right up to treks along Wolf Trail. 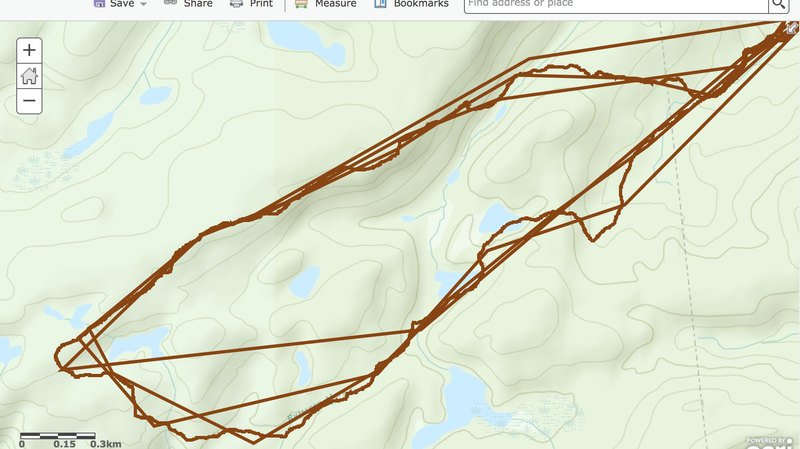 With incredible help from the ESRI team, I have been able to improve my story map and have learned how to add waypoints from my tracking tools – InReach and Suunto to the Wolf Trail base map. 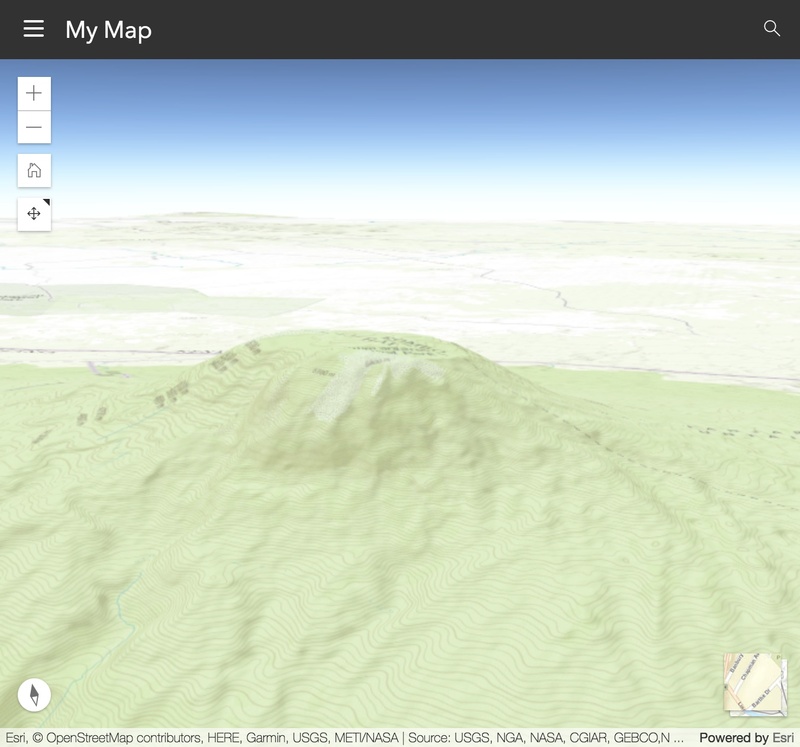 I am really hoping that I will be able to add points during our climb to a 3D map of Kilimanjaro I have added to the story map. The money I am raising is going to Rec Link a group here in Ottawa that is doing so much to help the families and children I used to work with while I was principal at St. Anthony School. It is such a privilege to be able to give back to a group that has done so my for our kids and I have the coordinator of Dream Mountains Shawn Dawson to thanks for this. 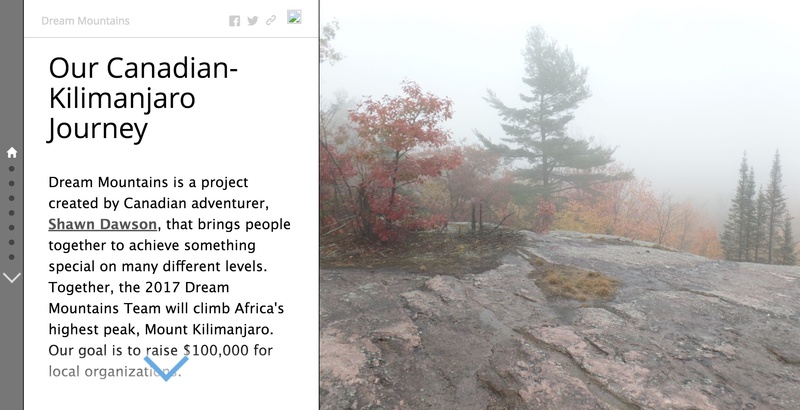 Shawn is a truly selfless individual who has an incredible commitment to give back to the community while supporting over 20 novice climbers in our long journey to Kilimanjaro. It is such a joy to work with someone who is so positive and supportive and is willing to give so much of himself for others – a very rare commodity in my experience. Finally, none of this would be possible without the great group of family and friends who have supported my fundraising efforts. It has been truly humbling that so many people would donate so much to help me reach my funding goal. At this point, I have raised more than $8000.00 for Rec Link and have received wonderful support from my wife and family – without them, this would never have happened. I hope people follow us up the mountain. I hope the technology works. I hope we have all trained hard enough. Whatever happens, this already has been a truly unique and wonderful experience and I am happy to part of this great group. What a wonderful experience for your team! I enjoy reading your entries and look forward to reading more! Thanks very much Nathalie. Really hope to be writing from Africa in a month! Let’s hope the works Paul. Hopefully we can check in on you and my sister crystal along the journey! Thanks Holly – I will do my best to post when I can. I’m looking forward to following your posts, Paul, and will keep your team in my prayers as you make this amazing adventure come to fruition. You are all inspirational! All the best in your final few weeks of training.